What is North Creek Community Farm? 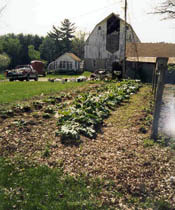 North Creek Community Farm is a Community Supported Agriculture Farm (CSA), also known as a subscription farm. Growing CSA participation is part of a movement back in time, to a time when you knew who was growing your food and what methods were used to produce an important part of your family's diet. In the beginning, much of the work was done by Norwegian Fjord horses. Now the horses are retired. To provide our customer-subscribers with fresh, locally grown fruits and vegetables, produced without the use of chemical fertilizers, toxic pesticides and herbicides or antibiotics. To use sustainable agriculture practices and organic growing methods so as to build the soil for use by future generations. To continue the best traditions of small farming while maintaining a profitable business. Where is North Creek Community Farm? 65 acres of diversified organic farm, located 75 miles northeast of the Twin Cities in the beautiful Hay River Valley. There is an active Amish Community in the area, and you are always welcome to visit "your" farm. You can come out to collect your produce, or just to spend some time on the farm exploring, learning, working and having fun. We will have scheduled "open house days" at the farm each with a different theme. 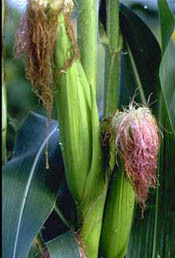 Past parties have included corn feeds, Fall Harvest Festival, and the Garlic Festival. What are the benefits of farm membership?